PSHE School Trips to Sutton Life Centre! We have a range of packages available for PSHE school trips and visits, including our award winning Life Skills Tours for pupils in KS2 and KS3 and our newly introduced Life Skills Workshops! We are also proud to be a part of the Safety Centre Alliance (SCA) which is a collection of safety centres from all across the UK who work together to share knowledge and best practice. For more information on other safety centres, please click on the link above. 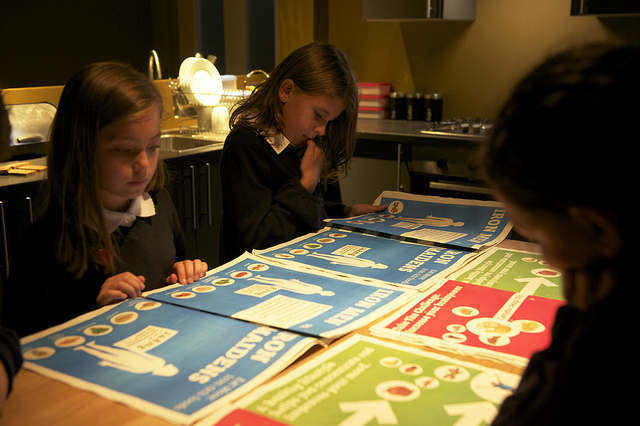 Aimed at Year 5/6 and Year 7/8 pupils, the Life Skills Zone is Europe’s first super classroom. Part movie set, part learning experience; our Life Skills Tours teach your pupils about citizenship, personal safety and the environment using the latest cinematic technology. Giant projection screens, powerful surround sound, evocative lighting and interactive elements all combine to create an immersive learning environment like no other. Year 6 Teacher, Caterham Prep School, Surrey. The tours last for approximately 2 hours, and we can provide space for packed lunches if you would like to eat at the centre. We also offer additional workshop sessions which provide you with the option to extend your visit to a full day. Please enquire for more information. Complement Junior Citizenship Scheme learning. We continue to offer our Life Skills Workshops as an add-on for our tours, which will enable schools to transform their visit into a full day out, for an additional £3.50 per pupil. Internet Safety available for KS2 or KS3. Home Safety available for KS2 only. Drugs available for KS2 or KS3. Prices are charged per pupil and there is no charge for accompanying adults and teachers. A minimum charge of £100 applies to all tours. There is no charge for accompanying adults. We can also cater for Youth Groups, Special Educational Needs Groups and Uniformed Groups – please contact us for more information around availability and pricing. Check our calendar below to get an idea of availability for our Life Skills Tours and request to reserve a space. If you have a limited number of dates available which are showing as unavailable to book, please contact us directly, as we may have availability for a half-day slot (morning or afternoon) on the date in question. 1: Select a date that is highlighted in green on the calendar below. 2: Fill in the online form situated below the calendar. A member of the Sutton Life Centre team will respond to your enquiry as soon as possible. Please note that if you are looking to book a slot more than 7 months in advance of your booking, you will need to call us on 020 8296 1287. I agree and accept the terms and conditions of booking. I consent to my information being processed by Sutton Life Centre (London Borough of Sutton). Granton Primary School (London Borough of Lambeth) recently wrote a short news article about their Year 6 visit to Sutton Life Centre, which can be viewed here: Year 6 Visit the Sutton Life Centre. Greenacre School for Girls (Surrey) also shared their good news after one of their students felt inspired to raise money for Water Aid following a school trip to Sutton Life Centre. The article can be read here: Greenacre Charity Fundraising. We have also had a visit from Sian Rowland (PSHE Consultant) on the 23rd February 2015. Check out her blog entry here: A Visit to Sutton Life Centre. You can also see what other schools and pupils have said about their experience of our Life Skills Tours, by visiting our School Feedback page. We can accommodate up to 100 students, and have onsite parking for coaches. Sutton Common train station is located a short walk from the centre along Sutton Common Road. We also have direct access from the A217 to the M25 at Junction 8 (Reigate). For more information about our school trips and Life Skills Tours, or to book a place for your school, please contact us – we’ll be happy to help with any enquiries you may have.